Sports memes are everywhere, but do you know where they came from or what they really mean? 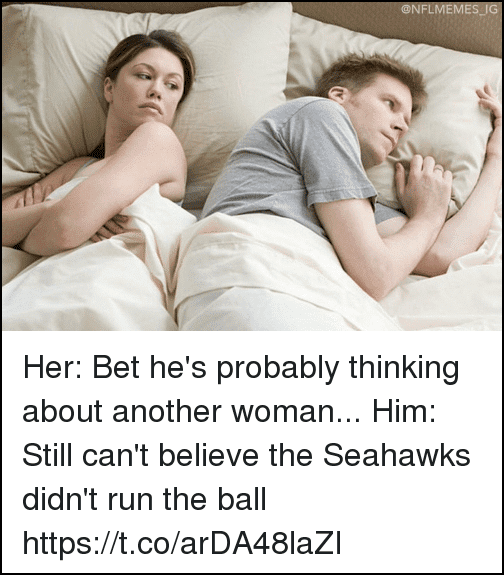 Sports memes are often misused and sorely misunderstood, so join us on our journey as we decipher and decode the best sports memes on the internet. We’ll take you through their origins, what they mean, and how to best use them in in a variety of contexts. Arguably the greatest and most recognizable sports meme on the planet, Crying Jordan is one of the internet’s most widely used memes. The original photo was taken back in 2009 at Jordan’s Basketball Hall of Fame induction ceremony. The greatest basketball player ever let the tears come down like rain as he gave his speech. An AP photographer captured the moment, and the face started getting expert photoshop treatment. Today, Crying Jordan can be seen on other athletes, coaches, trophies, posters, and anything sports related. 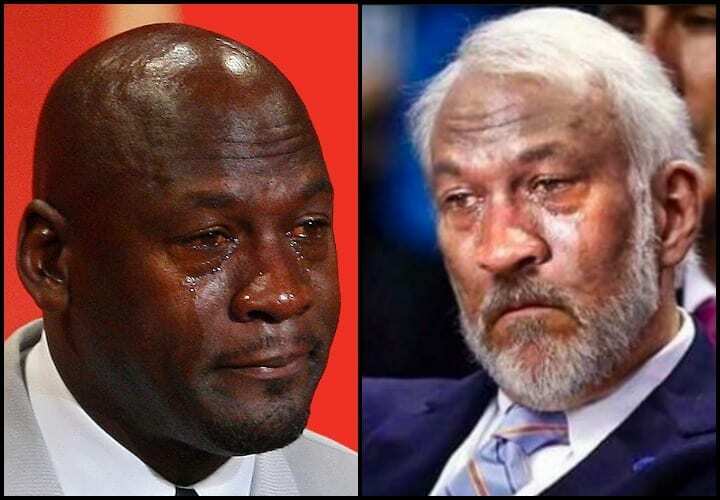 Sometimes the meme is hard to find whereas other times it’s hiding in plain sight, like on Gregg Popovich on the right. As we’re sure you’ve already heard, Seattle didn’t run the ball in Super Bowl XLIX, and that costly decision changed the franchise’s fortunes forever. It also permanently altered the meme universe. Meme’s regarding Seattle’s erroneous playcall proliferated. 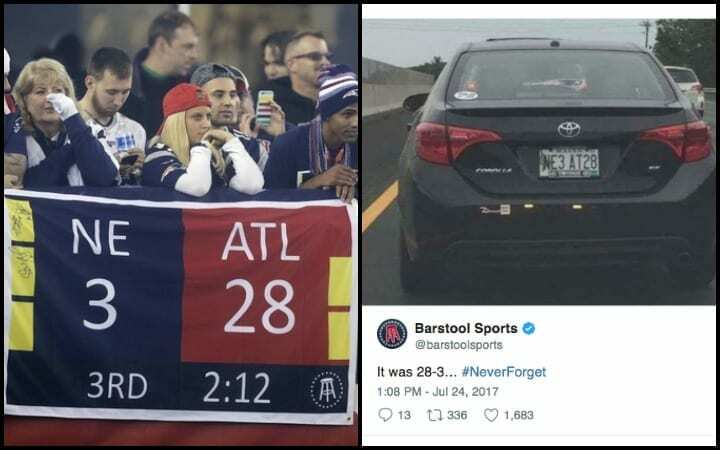 Different memes with different punchlines occupied social media newsfeeds around the globe, but one thing remained constant: how dumb that play was. 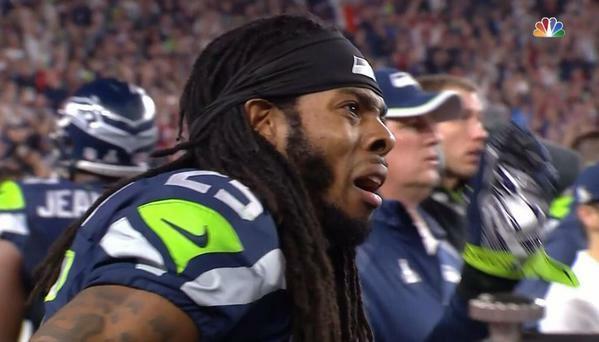 People around the world reflected on just one thing: why Seattle didn’t run the ball. Why didn’t they hand the ball off. Here, a couple lost in thought amidst the supreme cuddles ponders two polar opposite thoughts- potential infidelity and dumbfounding playcalling. Remember folks, communication is key. Wow, 2014 must have been the year of the meme. During the 2014 NBA Playoffs, Lance Stephenson and the overmatched Pacers were facing LeBron James and the Heat, and the Pacers were desperate to find any competitive advantage. So Lance Stephenson brought out one of the most untraditional tricks in the bag- blowing air in LeBron’s ear. LeBron laughed off the childish tactic, but Stephenson was not able to laugh off the onslaught of memes that followed. 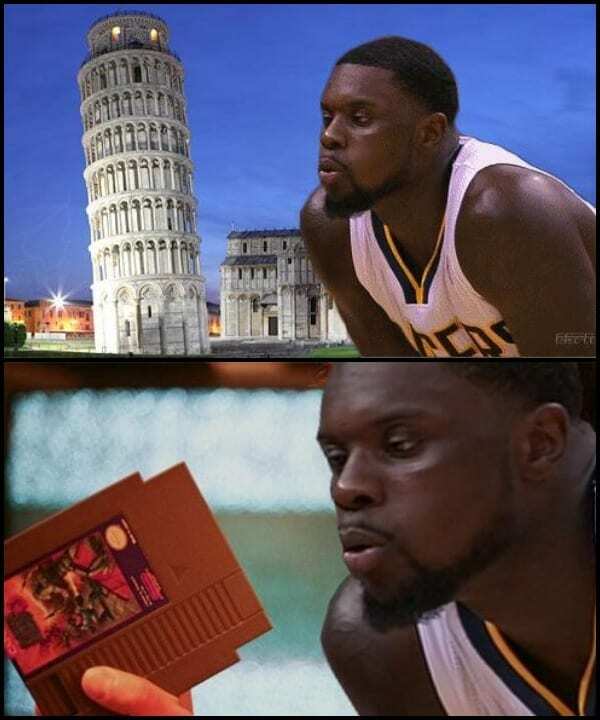 Stephenson’s infamous blow traveled around the globe and is responsible for the Leaning Tower of Pisa’s lean and helping kids clean out their dusty video games. Thanks Lance! The hardest hit this NFL linebacker ever received was when news broke that Te’o’s girlfriend, the one who was battling cancer and was the inspiration behind his phenomenal play, was a hoax. It was a contrived, manufactured scheme during his senior year at Notre Dame that shocked the sports world to its core. 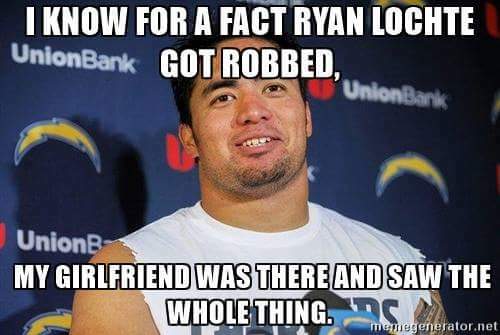 Details slowly oozed out that Manti Te’o, in fact, did not have a girlfriend and had been pranked in an elaborate scheme. When the dust settled, one thing emerged: memes, plenty of memes. And if there’s one thing that an NFL player could do without, it’s being accused of having a fake girlfriend. Tom Brady is back with another fresh meme. This one originated from the 2017 AFC Championship Game where Tom Brady and the Patriots battled the Steelers in chilly weather. Brady, needing to keep his throwing arm warm, was given a gigantic coat that he and his receiving corps could have fit in together. Once the camera panned to a huddled Brady wearing his XXXXL coat, every television viewer in America under 60 knew what was about to happen, and it did. The Patriots throttling of the Steelers en route to the Super Bowl wasn’t even the top story. 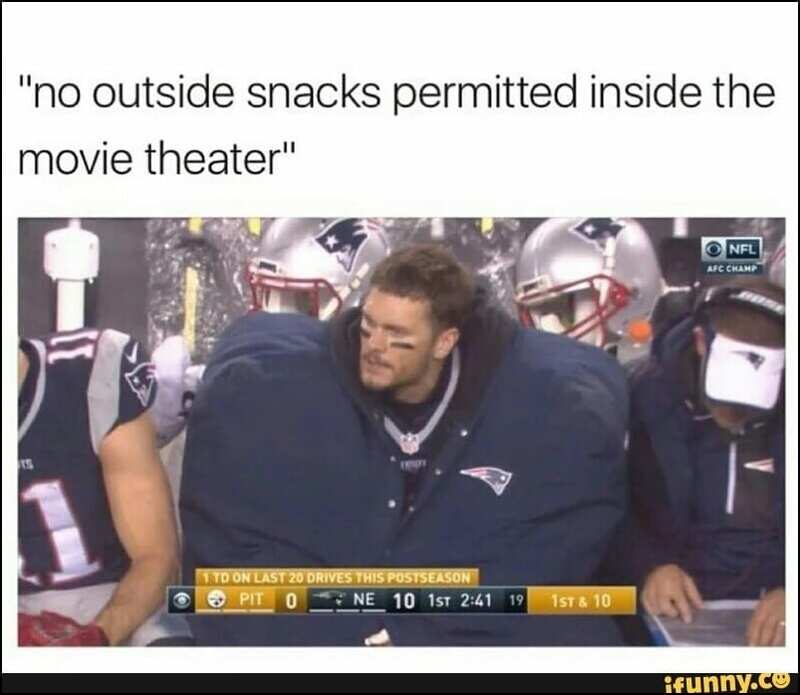 Brady’s jacket was. Former Vikings kicker Blair Walsh had an affinity towards shanking kicks. He had a propensity towards putting the ball anywhere but through the uprights, much to the agony of Vikings fans. 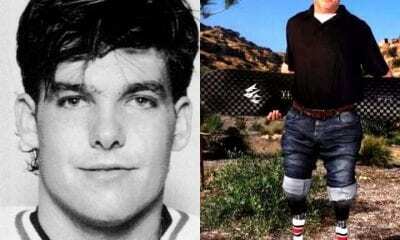 The kicks alone were the subject of many a meme, but the most glorious ones were once Blair was cut by the Vikings. 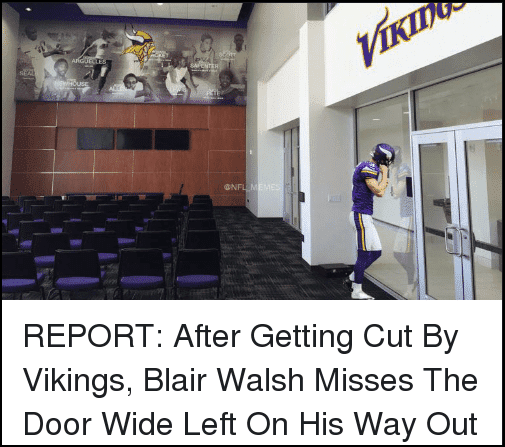 Rumor has it that on his way out, Blair got his first concussion after he missed the door wide left and walked straight into the wall. The story also goes that the U.S. Government wants to name the next U.S.-bound hurricane “Blair” in hopes that it will miss the country wide left or right. And coming full circle, here a few more examples of Blair memes that even include Lance’s air blowing and Crying Jordan. The gif is better, but the still shot still appropriately captures the meme. Back in 2018, Pacers star Victor Oladipo took a hard foul and decided to lay on the floor and extend the drama. He stared into the camera and gave a pathetic head nod. Oladipo’s reaction to the foul opened the floodgates and the memes came pouring down. Basically, anything that deserves an exasperated “are you kidding me man” or “nah, I’m good” reaction can get the Oladipo treatment. Your mom, via text, asks if you’d like a pint of vanilla ice cream, knowing very well that you prefer chocolate. Insert this meme to subtly clarify your disdain for vanilla. Shooting guard Nick Young, aka Swaggy P, is one of the NBA’s biggest goofballs, and his mom knows it all too well. Back in 2014 (again), Young was featured in a Youtube segment that documented a day in the life of Swaggy P. In the segment, Young’s mom begins to tell a story of how a young Nick Young was always stirring up the pot and acting a fool. At one point she recalls how Young “was a clown back then.” At that point, Young’s now-ubiquitous question mark face appeared, and the rest is history. 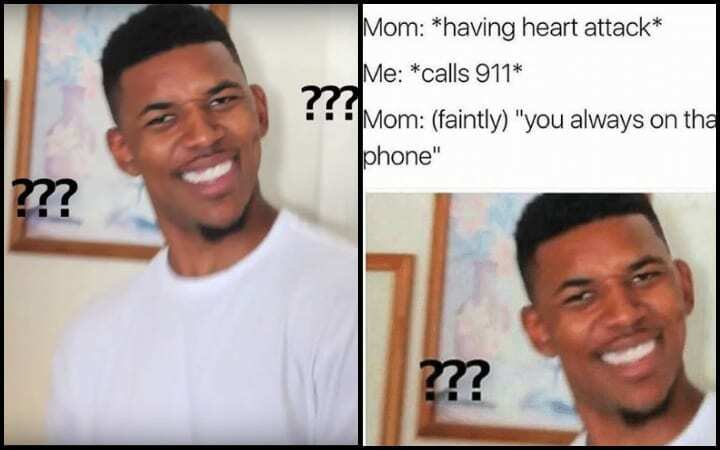 Use this meme in any scenario that raises some eyebrows and is seriously questionable. Burner Accounts? What Burner Accounts? We all know Kevin Durant is a snake, but a few years ago that wasn’t so clear. Then KD slithered on over to the Warriors, the team that beat him the year before in the playoffs. Then mysterious Twitter posts began popping up with random users ardently defending KD. The posts were awfully specific and more in-depth than a post from a casual fan would be. So the internet came together to solve the season’s greatest mystery, and what it unearthed was shocking. Durant was caught using multiple Twitter accounts, also known as burner accounts or burners. 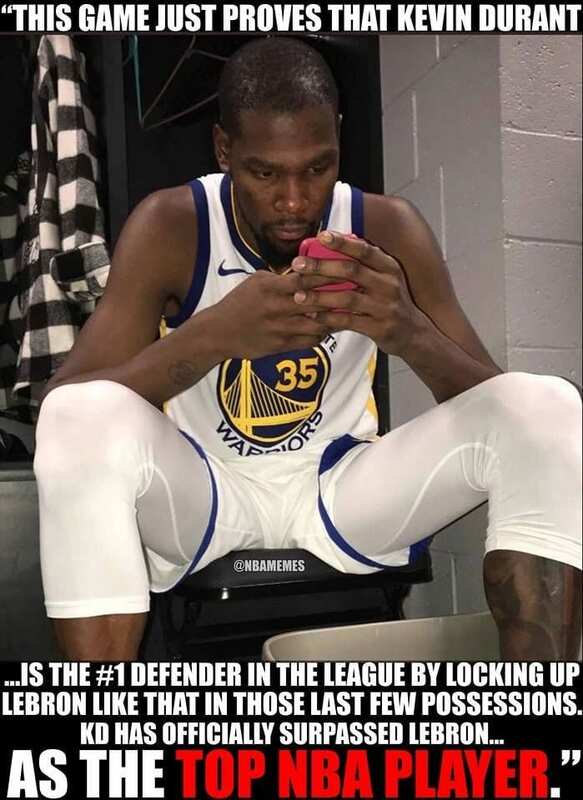 His credibility and reputation were destroyed as Durant and his eight Twitter handles became the laughing stock of the league. Here lies the Washington Wizards’ best player. This man is the guy destined to lead your Wizards to a first-round exit from the playoffs. Back in 2015, star point guard John Wall was sidelined with a foot injury. With Wall inactive, the Wizards plummeted and gave new meaning to ineptitude. During a game, a Washington player must have made a play so pathetic that Wall lost control of his spine and neck, as if he’d been shot. Use this meme as a response to ridiculous questions that shouldn’t have been asked, like when your fitness enthusiast friend inquires about your interest in a 6 a.m. run after a night of revelry. Netflix’s “Bird Box” took the internet by storm, and not because of its acting or plot. The reason “Bird Box” took off was because of the exorbitant amount of memes relating to the blindfold Sandra Bullock wore throughout the film. Sports culture quickly connected the dots and put the blindfold in the sports world, placing it on athletes who missed big shots and kicks and refs who missed big calls. 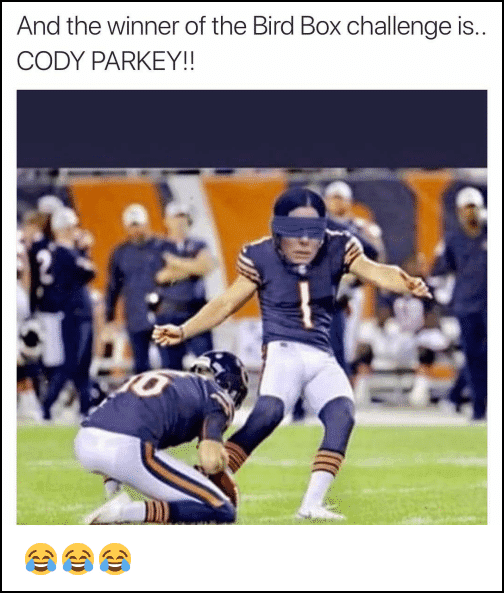 It was dubbed the “Bird Box challenge” and Bears kicker Cody Parkey, who missed a game-winning kick in the 2019 NFL playoffs, was crowned the winner. The NFC Championship Game referees came in second. Well, this shouldn’t be a total shocker, considering how much LeBron cries. Rumor has it LeBron was recruited by the state of California to join the Lakers so his tears could be used to fill up empty reservoirs in the drought-ridden state. Anyhow, this face is from LeBron’s time with Cavs where he and the city of Cleveland had plenty to cry about. This meme is one of the more versatile ones on the list. It can be used for comic relief or in a serious situation. Context is key. 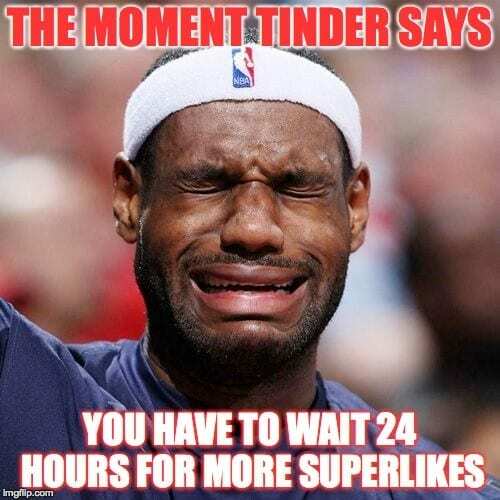 So the next time you’re chatting with your friend about how horrible your Tinder game is, save yourself the headache of using words and just send over a crying ‘Bron. Simpson references are great and applicable in so many situations. The meme we chose below is from Super Bowl XLVIII, where the Seattle Seahawks laid the smackdown on the Denver Broncos in one of the most lopsided Super Bowls in history. 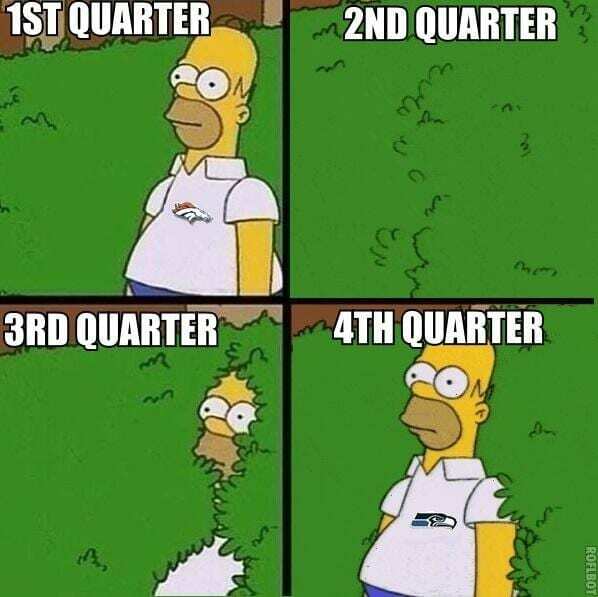 What the meme depicts is a Broncos fan starting off the game full of optimism, rocking his favorite gear. As things begin to spiral out of control for Denver, the fan disappears into the bushes before emerging as a Seahawks fan. This ubiquitous meme can be used for every sport and is best used to highlight the comical nature of bandwagon fans. This is the face you make when you realize you just made the biggest mistake of your life. You’re in too deep and there’s no backing out. Adam Gase left the dumpster fire that was Miami for an even greater one up in New York, and when he signed on the dotted line, the nightmare became a reality. He moved to a colder city with a more miserable fan base and a roster void of talent. 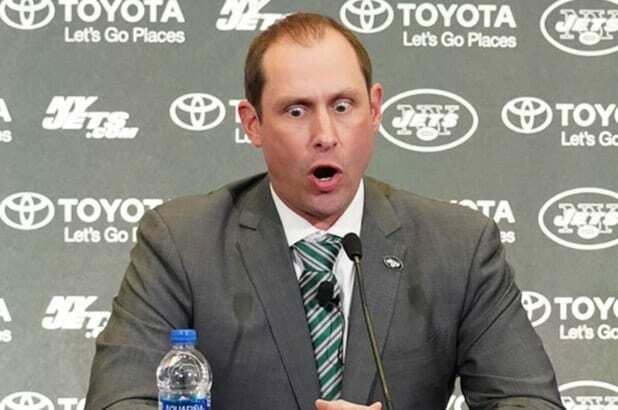 During Gase’s introductory press conference, Gase’s googly eyes were all over the place and became an instant meme best used to represent any situation that makes you question your sanity. Like the Gase eyes, the Manning Face is classic meme used to represent fear, shock, or utter disbelief. Eli Manning is a man of many faces. 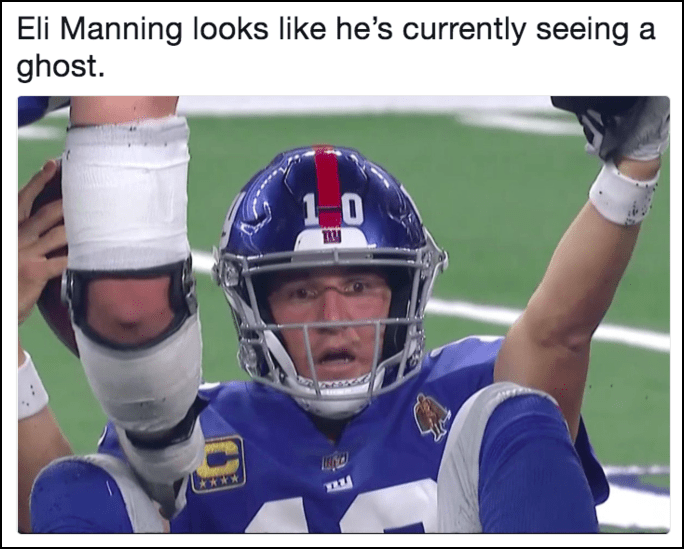 He pouts after interceptions, contorts his face after big hits, and looks like a zombie on the sidelines, but none of those faces stack up to shell-shocked Eli. After being sacked, the Giants’ aging, interception-prone quarterback looked like he had just seen some things, some things that are best unseen. The face was immediately captured and posted on the internet where glorious meme makers didn’t hold back or show a modicum of mercy. Justice served. 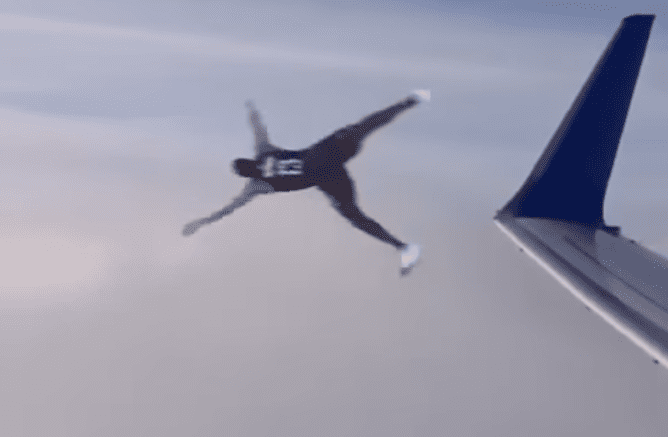 In the waning moments of Super Bowl XLIX, the Seattle Seahawks, in prime position to score the go-ahead touchdown, appeared on the verge of winning back-to-back Super Bowls. Then Russell Wilson threw one of the more egregious interceptions in NFL history. That interception turned out to be a blessing for the New England Patriots and the rest of America. While the Pats were gifted another championship, the American people were gifted one of the greatest “WTF” faces, applicable and useful in many scenarios. Car broke down on your way to an interview? Slap this bad boy in your text to a friend. 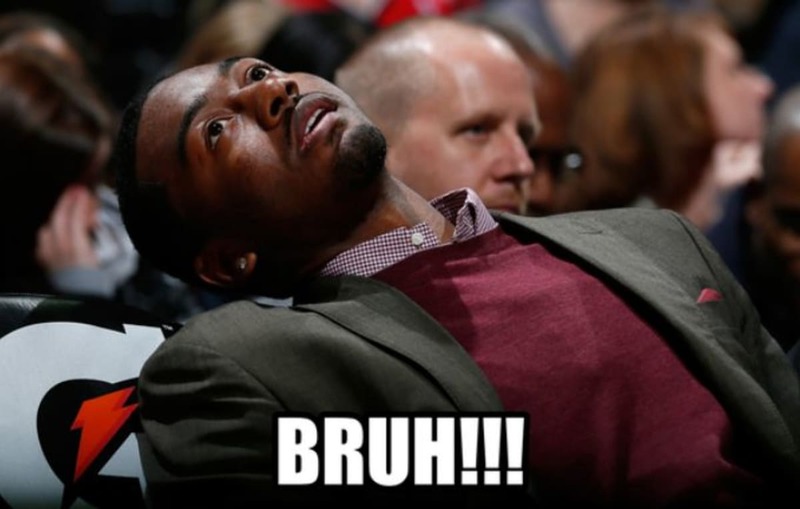 Chinese food prices just went up $2? Slide this into your conversation with the roomie. 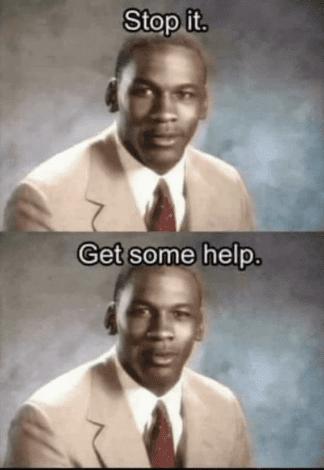 Michael Jordan, the face of…an anti drug campaign? Yes, you read that right. Back in 1987, Michael Jordan was a young star in the NBA with a blindingly bright future. McDonald’s, who was running an anti-drug PSA at the time, realized Jordan’s star power and pegged him to be the campaign’s spokesman. In a minute-long clip, Jordan urges kids to avoid using drugs, and towards the end of the clip, the signature “Stop it. Get some help.” line emerges. Today, the meme can be used for anything cringe-worthy under the sun. Here’s the GIF, and for the patient ones, here’s the entire clip. Back at the 2012 Summer Olympics, U.S. gymnast McKayla Maroney and Team USA won the team gold. Maroney also won the silver medal for her efforts on the vault, but apparently silver was not what the young star was looking for. 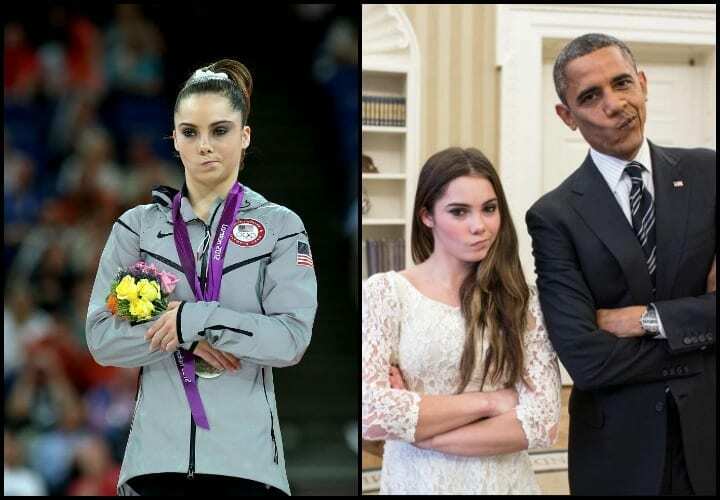 The face on the left says it all, and from that point on, Maroney was known as the unimpressed Olympian. Her unimpressed face was photoshopped next to the likes of Usain Bolt and the Great Wall of China, two things that weren’t good enough for her. Then she met President Obama, and he too wasn’t impressive enough. The photo was ranked 2012’s most viral photo by Yahoo. There are a million and one Kobe Bryant memes. And all of them, lest you be surprised, pertain to his proclivity towards shooting the ball. There isn’t a player in NBA history with a worse reputation, deserved or not, for so mercilessly shooting the ball. 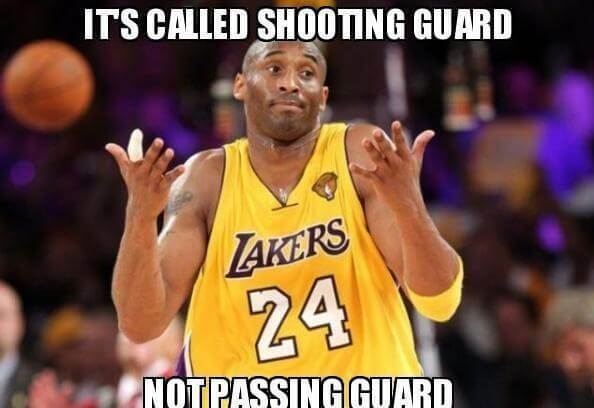 But like the meme below describes, the shooting guard position is for shooting, and Kobe took that to heart. He was a ruthless heaver of the rock, a man with no room in his game for apologies or passes. The Lakers lived and died by the shot. Kobe could lead them to the promised land or sink the ship as he built mansions, brick by brick. 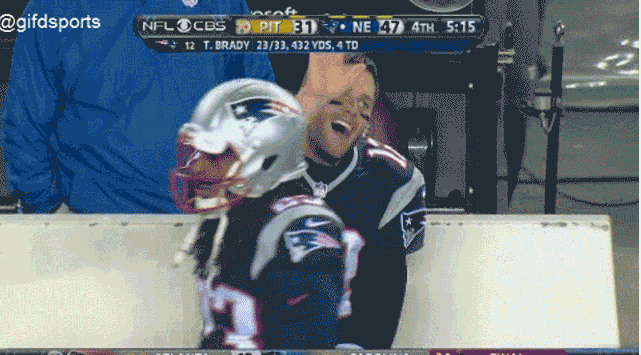 Tom Brady is the greatest quarterback in NFL history, but the man, however talented he may be at passing the ball and winning big games, severely lacks in the high-five department. Throughout his illustrious career, Brady has been left hanging by teammates on numerous occasions. From the looks of it, Brady appears to be at peace with not having a true high-five buddy and always takes it in stride. However, if there’s one knock on the man’s game, it’s this. Maybe by the time he’s 50 he’ll have it figured out and can connect with his teammates on the sidelines, not just on the field. Let’s start off by saying that Nick Young is an absolute clown. He’s made more of a name for himself based off his antics and theatrics, not his play. 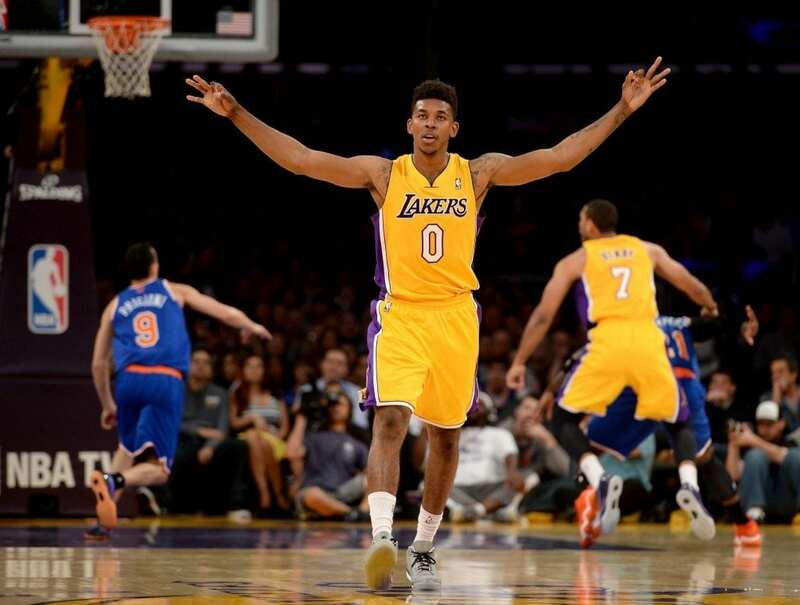 On one night, Nick Young, aka Swaggy P, launched a three-pointer that appeared to be good. Naturally, before the shot went in, Young turned around and spreads his arms to signify to the crowd that they were witnessing a living legend perform at the highest level. But as the old adage goes, don’t count your chickens before they hatch. Clearly Nick Young never heard this before or didn’t care for it, because as he was showboating, his teammates were battling for a rebound. Young, needless to say, missed the shot. 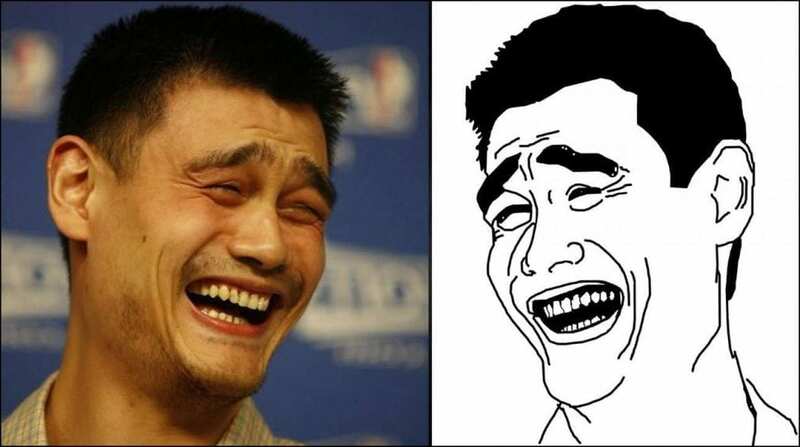 Back in 2009, Yao Ming and then-teammate Ron Artest were sitting at a playoff press conference when Yao broke out the smile that would become one of the most recognizable sports memes of all time. The face usually belongs to a set of memes that are generally sarcastic and degrading. The PG version of what usually accompanies this meme on comment sections throughout the interwebs is something along the lines of “are you serious bro?” or “shut the f— up.” Yao hung up his incredibly large sneakers in 2011, but his legacy will rightfully live on in internet lore forever. Many people don’t think Bill Belichick is human. He interviews like a robot and wins like a machine. So when he was spotted sipping what appears to be orange juice, the internet had a full-blown meltdown. “He’s human!” they shouted. “He gets thirsty?” they questioned. Then, after the initial shock subsided, the internet turned its focus towards memes. 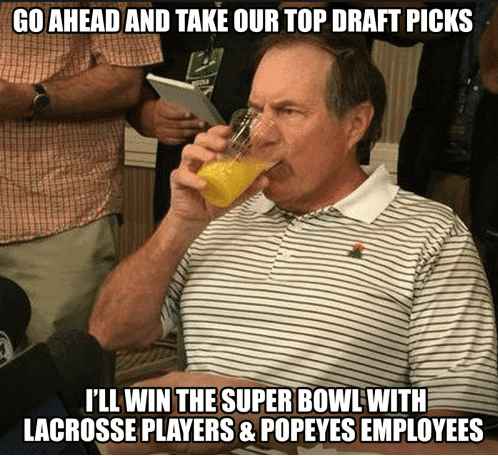 Similar to the Kermit the Frog meme, Belichick drinking juice is perfect to use in a situation where you’ve proven yourself correct, despite no one listening to you. As the chaos and destruction you predicted unfolds, sit back, relax, and enjoy a nice, fresh cup of orange juice. The petty with 28-3 was real. The Atlanta Falcons blew a 28-3 lead in Super Bowl LI in dramatic fashion. The win was great for some and heartbreaking for others, but the memes were undeniably awesome. People started flying 28-3 flags and putting 28-3 everywhere, including on licenses plates shown in the photo on the right. We’re barred from posting the true Smokin’ Jay Cutler memes, but rest assured, they are good. Jay Cutler was an apathetic quarterback who shuffled through his NFL career with minimal interest in winning or success. Fans and players alike despised Cutler because of his work ethic, or lack thereof. 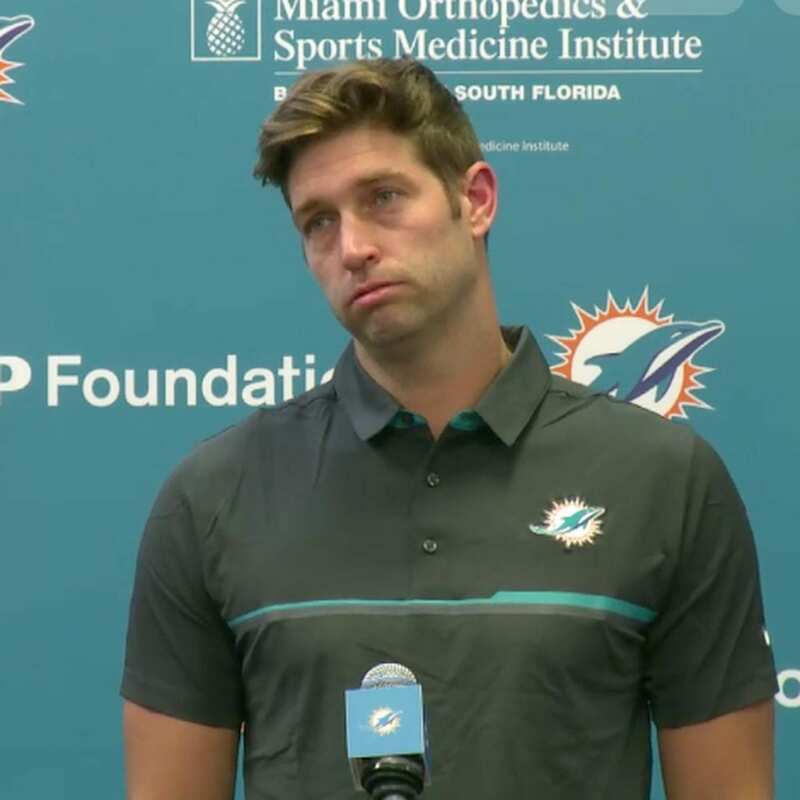 The picture below is from Cutler’s press conference in 2017 after he came out of retirement to sign a one-year deal with the Dolphins. A picture says a thousand words, and this one is no exception. Cutler’s face says it all and the memes took off, further damaging Cutler’s already fragile reputation. 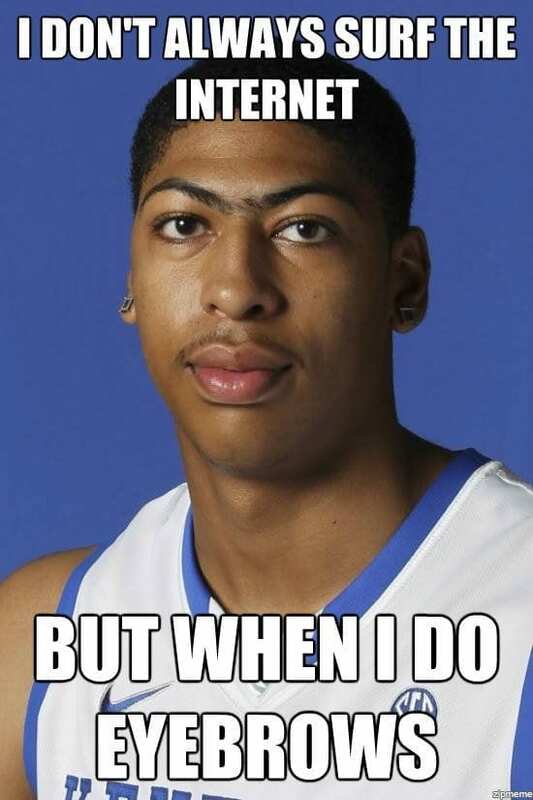 Anthony Davis eyebrow memes are a dime a dozen. They’re more common than fish in the sea, and there’s a good reason why. His impressive unibrow is the first thing people notice about him, which is a remarkable feat considering he’s 6-foot-10. His unibrow is more famous than the tiny country of Nauru, the world’s third-smallest country. The meme we selected below was by design because it’s one of the more introductory ones that does a great job of hammering home the eyebrow theme. Look for more eyebrow memes to surface as Anthony Davis continues to dominate in the NBA. Over the years, Drake has emerged as the biggest bandwagon fan in sports. He’ll get behind whoever is doing well and ride that wave of success to the bitter end. Then, when another team emerges from the pack, Drake will jump ship and bail. Drake has been spotted backing Connor McGregor before the big fight against Khabib Nurmagomedov. McGregor was submitted in an embarrassing loss. Drake also backed Alabama before their humiliating loss against Clemson in the National Championship. 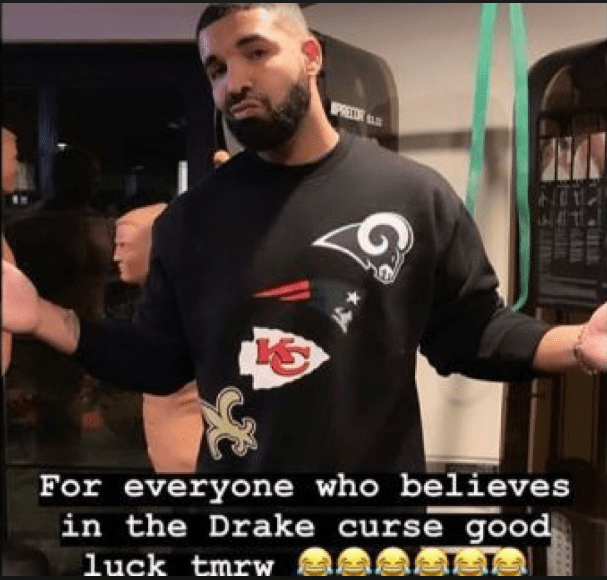 So before the 2019 NFL Championship weekend, Drake sported a sweater with the four teams photoshopped on it. 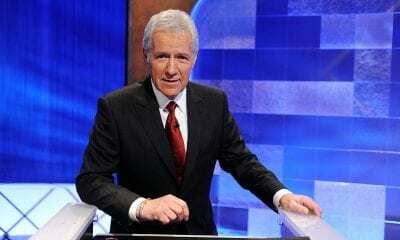 All four teams went into overtime, with each game being marred by controversy. The curse is real. As did we Kosta, as did we. The moment this kid got on camera, America knew. America knew he was going to be the face of a new batch of hot, fresh memes. 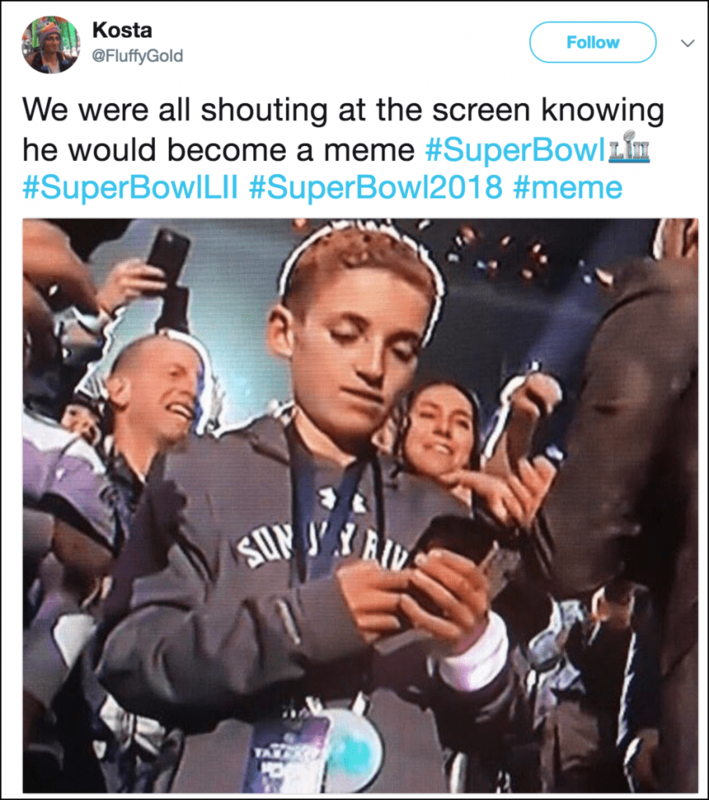 Super Bowl LII halftime performer and global icon Justin Timberlake ascended into the crowd during his set and planted himself right next to this kid. The fan, unsure of what to do, uncomfortably gyrated left and right while J.T. put on a spectacular show. Eventually, Selfie Kid whipped out his phone, halted his robotic dance, and snapped a selfie with the singer. The jokes with this one were endless. 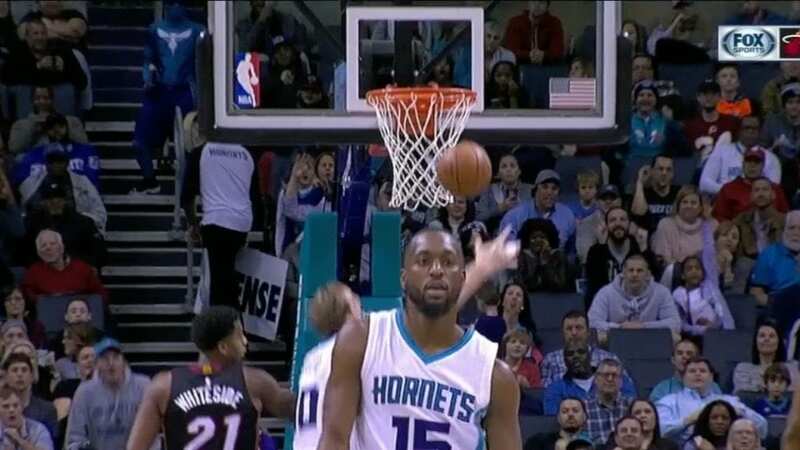 Similar to Nick Young, Kemba Walker pulled off one of the more boneheaded NBA plays in recent memory. In 2016, Kemba Walker was looking to sting the Miami Heat with a vicious three-point shot, and he thought he did. So Kemba busted out a patented shimmy dance as he walked away from the hoop, but it was premature. While Kemba dipped, swayed, and rolled, his teammates jumped, fought, and scrapped- for the rebound. Walker missed the shot but was completely oblivious to it. The funny clip spawned a great deal of memes showing people confidiently shimmying into a situation unprepared and empty-handed. Lesson learned. Eye on the ball. This absurd meme took off when James Harden was blocked by Manu Ginobili in the finals seconds of a nail-biting game. As Harden ascended to get off his shot, Manu executed a perfectly timed sneak attack and blocked the shot, sending Harden home empty-handed. However, before Harden returned home, he went a voyage around the globe that even took to outer space, and if you have no clue what we’re talking about, click here. Ok, now that we’re on the same page, we can dive into how this meme became a sports sensation. The shooting star concept was expanded to nearly every sport, becoming the perfect way to highlight players getting embarrassed, and although Harden will eventually retire, this meme will live on for eternity.